The Community of Jesus delivers a biblical, historic, systematic, and missional theology of the church. 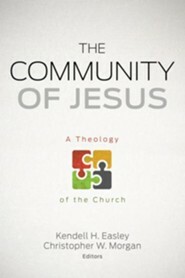 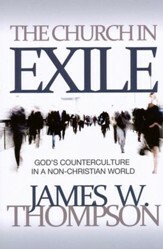 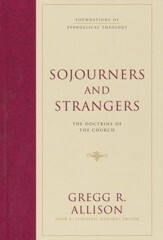 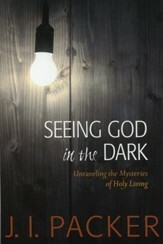 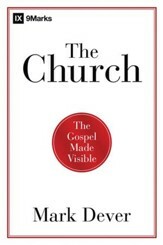 With extensive pastoral, teaching, missions, and administrative experience, this team of contributors carefully sets forth the biblical teachings concerning the church and then builds on this core material, relating the theology of the church to salvation history, church history, God's glory, and God's mission. 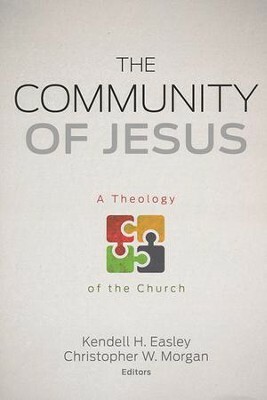 &bull; Paul R. House, "God Walks with His People: Old Testament Foundations"
&bull; Andreas J. K&ouml;stenberger, "The Church According to the Gospels"
&bull; Kendell H. Easley, "The Church in Acts and Revelation: New Testament Bookends"
&bull; David S. Dockery, "The Church in the Pauline Epistles"
&bull; Ray Van Neste, "The Church in the General Epistles"
&bull; James A. Patterson, "The Church in History: Ecclesiastical Ideals and Institutional Realities"
&bull; Stephen J.Wellum, "Beyond Mere Ecclesiology: The Church as Gods New Covenant Community"
&bull; Christopher W. Morgan, "The Church and the Glory of God"
&bull; Bruce Riley Ashford, "The Church in the Mission of God"
I'm the author/artist and I want to review The Community of Jesus: A Theology of the Church.